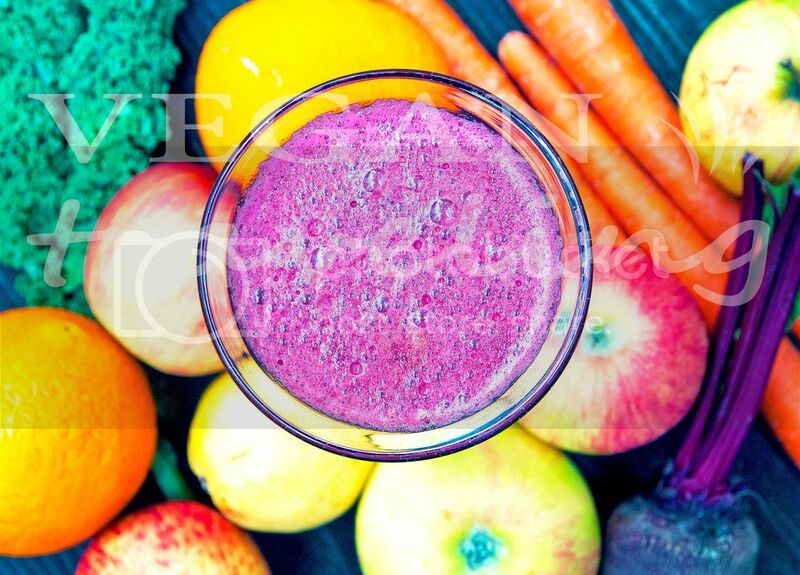 Join me for this Juice Fast Detox if you noticed lately that you’re feeling tired, you put on couple unwanted pounds, your mood is not as upbeat as usual – all of this is wonderfully restored back to normal through a temporary restriction of your calorie intake! Juice fasts are a wonderful gentle way get us back to our happy and healthy selves and back up to speed with our crazy lives. To join, see the guidelines here. You don’t have to follow the guidelines, however they are based on my personal experience from my many previous juice fasts, and I created such guidelines for reaching the most optimal results. So check them out – these guidelines are definitely going to be beneficial for you! Wash and peel carrots, beet, orange and lemon. Soak and wash kale. Cut all ingredients into smaller pieces and run through a masticating juicer such as Omega. If you’re using a centrifuge juicer instead (such as Hamilton Beach), then take 3 times more kale, as centrifuge juicers don’t extract greens juice as efficiently as the masticating ones. Pour your delicious juice into a beautiful glass and enjoy!